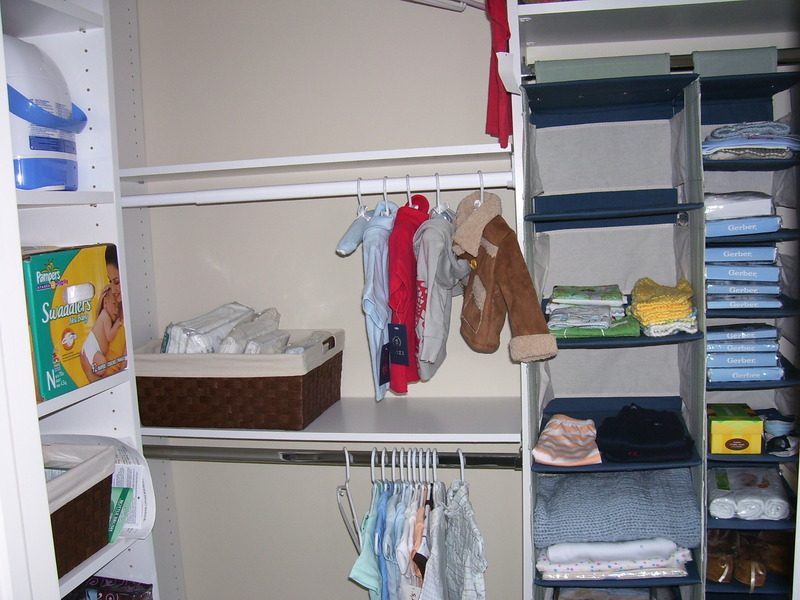 There’s no “before” available – but the closet used to contain a few of Mom & Dad’s extra grown-up sized clothes, and things like photo albums. 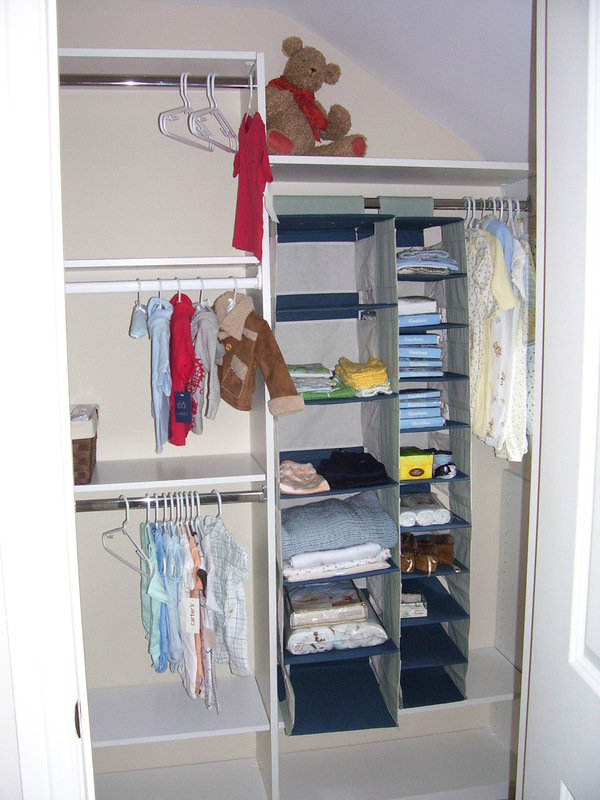 I broke out the drill and added a bar so they could fit three rows of itty-bitty clothes instead of two rows with lots of space in-between. 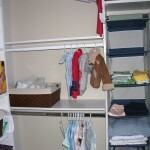 The canvas organizers are inexpensive ways to add vertical storage space for all the folded items, diapers, etc. 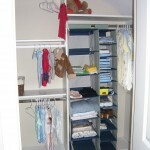 In a small closet, every square inch counts.